Thought experiment: how many failed "Dr. Manhattans" did the government attempt to create? I recall the post-comic report saying that the accident was "unrepeatable," but there's no way that wasn't empirically verified. Particularly since attempt #1 worked. Here's what makes the question interesting: who would be the subject of those attempts? I imagine there aren't too many people who would willingly subject themselves to an almost certain death in exchange for a slight possibility of superpowers. And drafting unwilling subjects might not be the bestest idea, considering the grudge they'll hold should the attempt succeed. Maybe they used folks with terminal illnesses, and offered life insurance to their families? Assuming they even have a working theory of how ithappened? Mice. the subjects would initially be mice or other common animal test subjects and they would only go to humans if there was strong enough evidence they could somehow repeat what happened. To repeat the accident with a human, even one with terminal illness, would probably still be considered incredibly unethical due to it involving asking a person to do something with a 99.999% chance of it killing them. I don't think the experiment could work with mice, though the government might not know that. 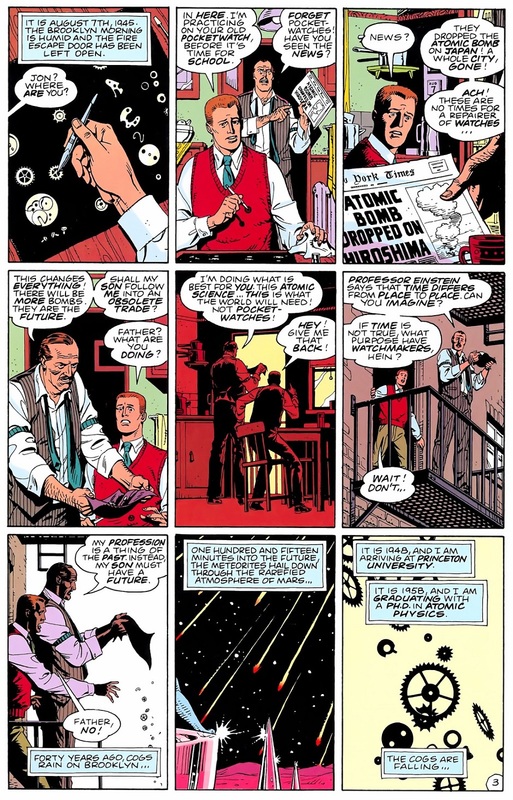 It's heavily implied that Jon's orderly mind-- his training in "reassembling the components in the correct sequence"-- is what enables him to go from a disembodied intelligence to a superhuman. Also, would you want a mouse running around with godlike power? It would be like putting a monkey in front of a nuclear launch console. 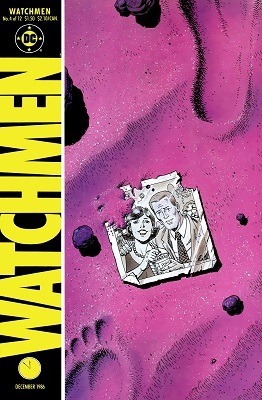 I agree killing off people would be unethical, but this is the Watchmen universe we're talking about. Here, Nixon was never caught, became president for life after the 22nd Amendment was repealed, and is shown being involved in some really shady stuff. 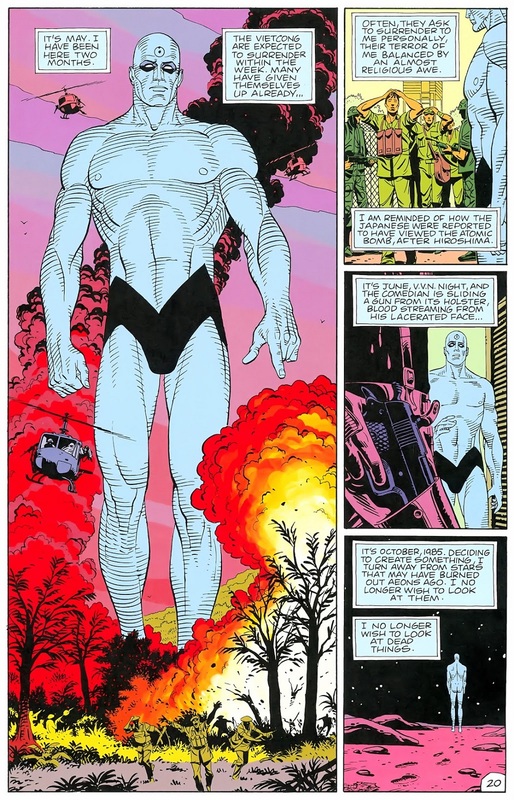 And you know the USSR would be busy attempting to make their own Dr. Manhattan, though they would run into the same "pissed off superhuman" problem should they draft unwilling subjects. 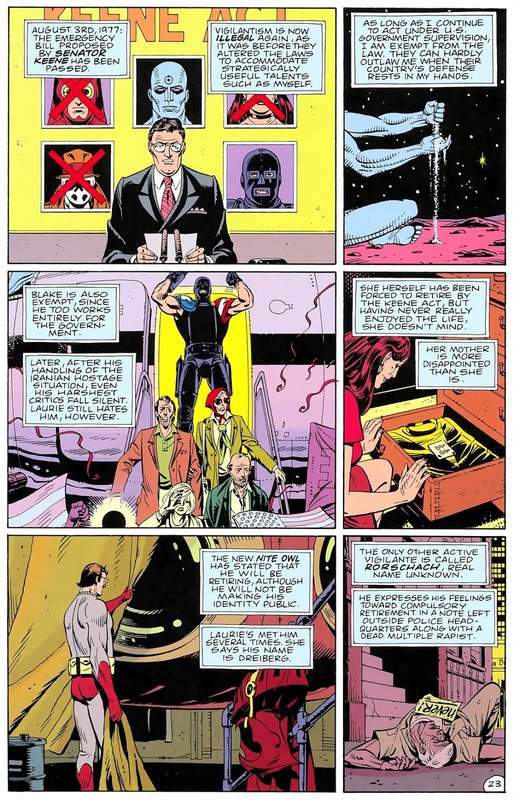 I always saw the Watchmen universe as one that, Superheroes aside, pretty much operates like the real world. It's not an universe in which there is a huge government conspiracy to make super soldiers or the like. 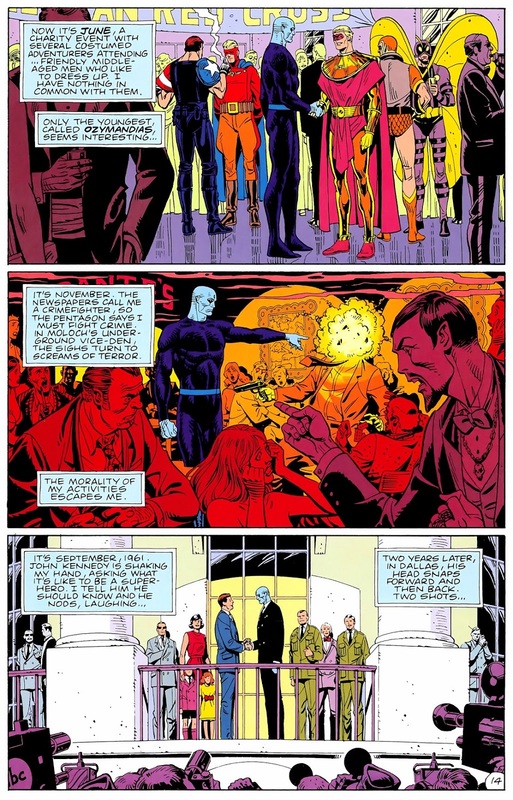 It just doesn't seem plausible, if they were doing unethical human experimentation, that it would be unknown because Watchmen still operates with real world rules and, in the real world, more often than not, this kind of stuff come to light. For example, while The Comedian does the dirty work that the government denials any knowledge of... everyone knows what is going on. 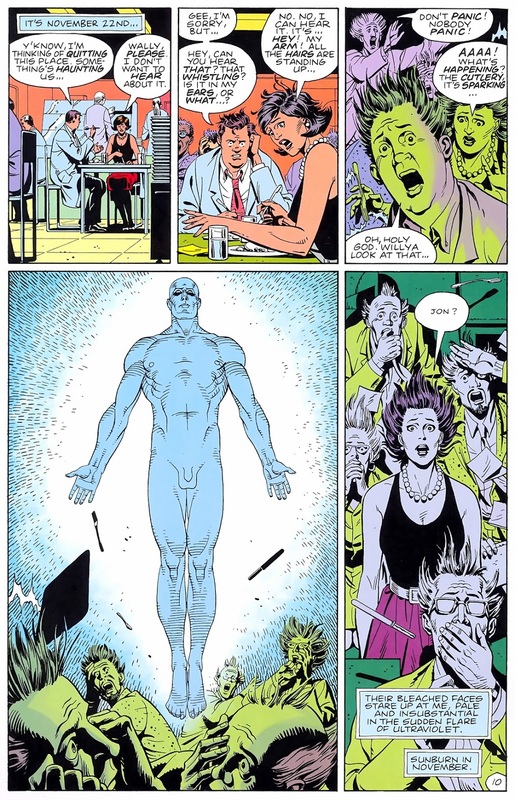 in the end my point is that, like in the real world, the "Dr. Manhattan project" would probably get stuck before human testing is even on the table because of the many thing that they would not be able to sort out before then. Russia probably has a graveyard of failed experiments, though. 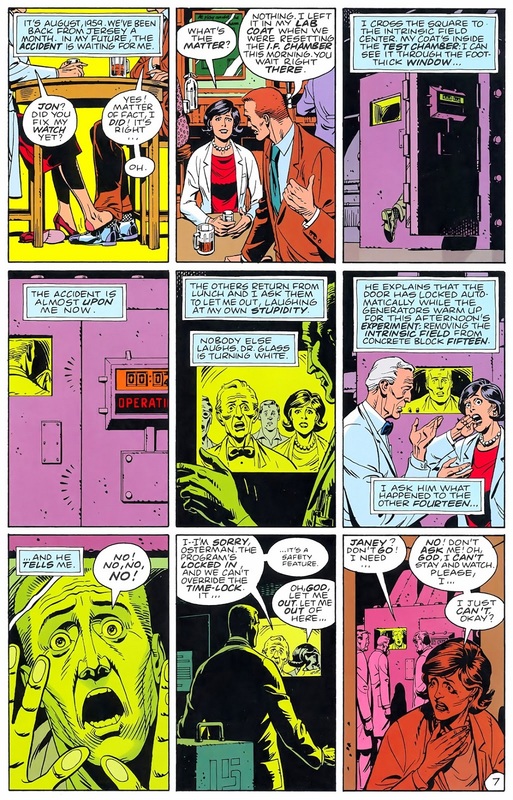 The story might imply it was jon's mind that allowed it but, as you said it yourself, the scientists studying him probably don't make the connection or, if they do, it's probably impossible to prove. 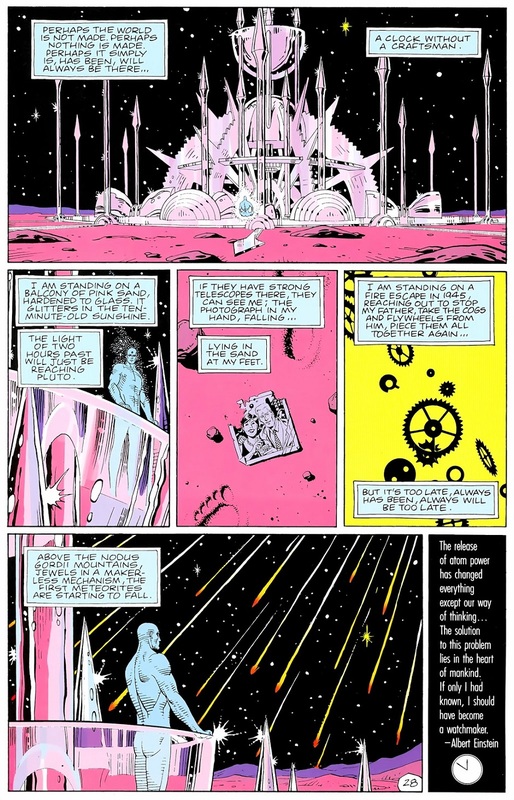 You make a good point about huge conspiracies coming to light in the Watchmen universe. One might even say it's one of the driving implications of the overall plot. :) I wonder if they might try experiments with willing terminal patients, though. 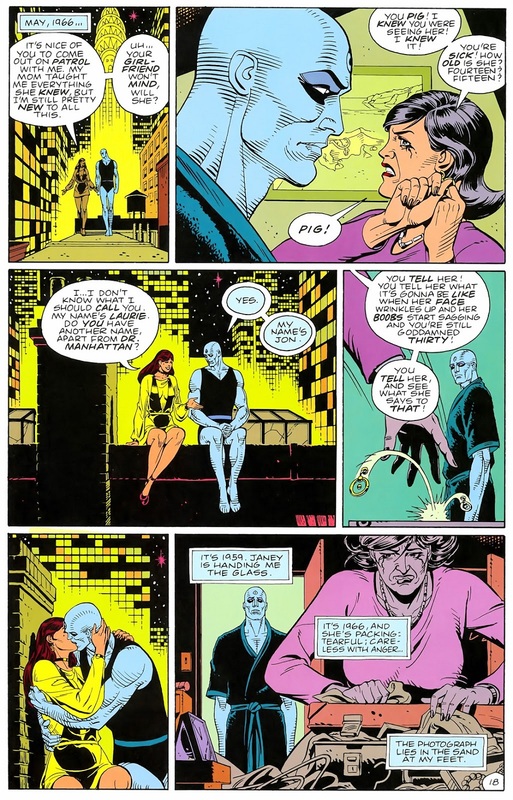 Depends on how the Watchmen universe feels about assisted suicide. 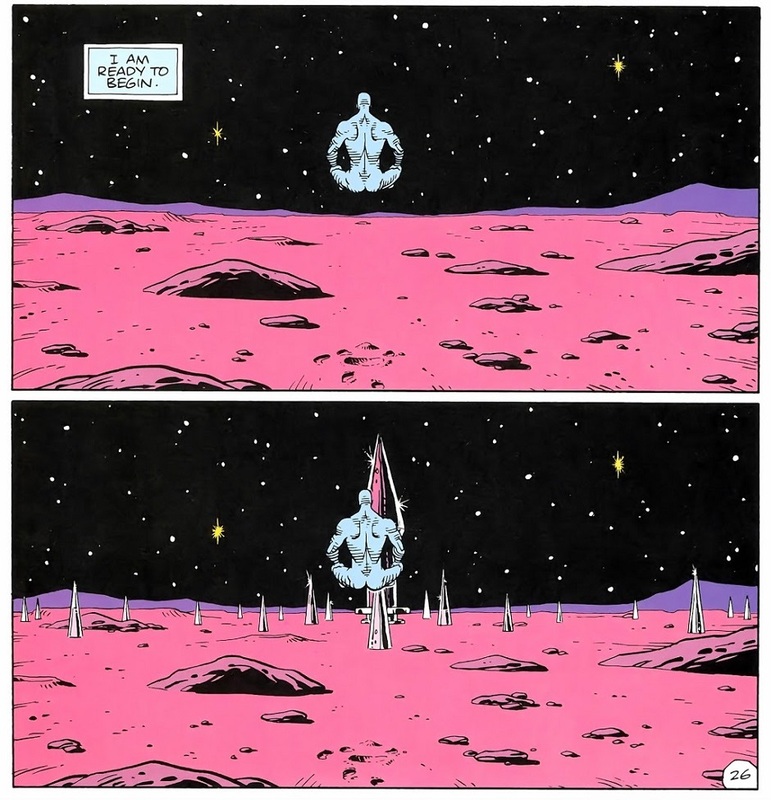 OTOH, would the U.S. even want a second Dr. Manhattan? They already have one, and he's kinda a pain to deal with. Not sure what the second could do that the first one can't (especially with Jon's multiple bodies), so that would just be another superhuman they have to manage with no corresponding upside. That's interesting. I went to Catholic school in Puerto Rico (an island which is predominantly Catholic) and I have no memory of this exercise ever happening in my own Catholic education. The Catholic middle school/high school I went to was pretty progressive (to a limit), but the Catholic kindergarten/elementary school I went to was a bit more conservative (one of my religion teachers told us students that watching The Simpsons would send us to Hell). Yet, in neither one or the other did this exercise you mentioned happen. Maybe it's a cultural/regional thing? Or a generational thing (I was born in the early '90s)? Or maybe my schools just happen to be a few of the ones that don't teach "Who made the world". I'm 95% certain no one does this anymore. This was back when rote memorization was the (ahem) Holy Grail of education. No idea what goes on in catechism now, but given today's educational emphasis on actual understanding, it's probably something a little less cult-sounding. 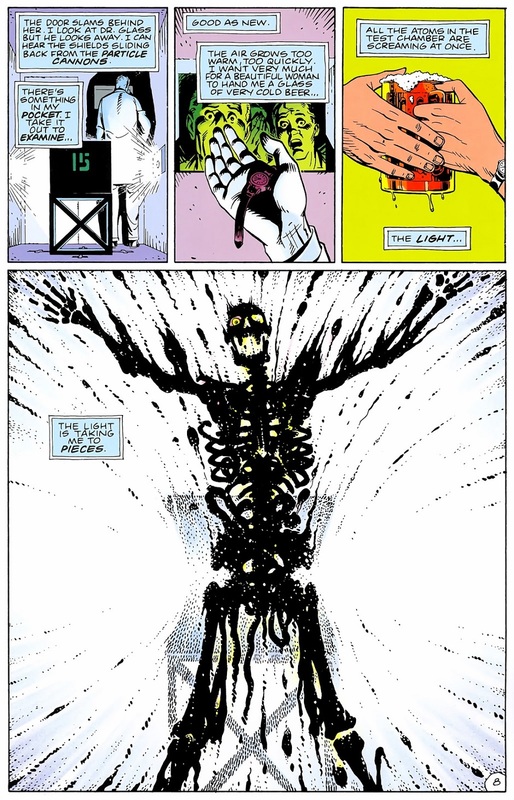 I've always wondered how Jon began assembling a new body, without the use of a body. The best answer I've managed to come up with is this. 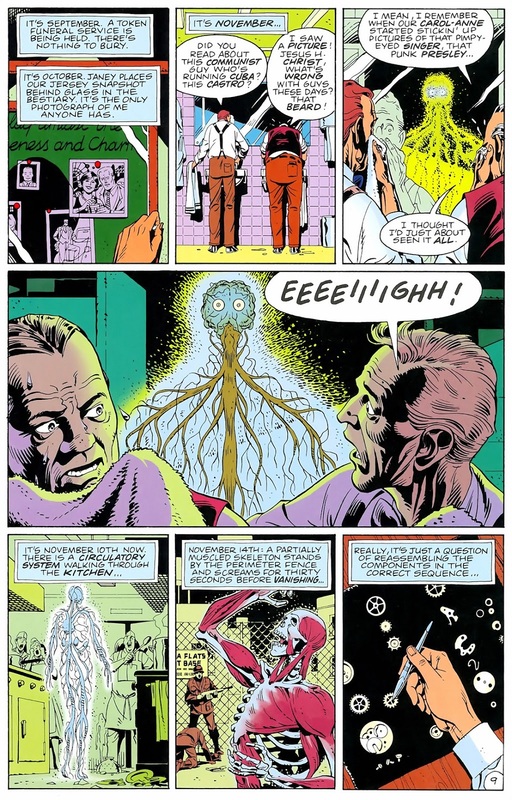 Telepathy is an empirically real phenomenon the Watchmenverse (Veidt's creature, its brain cloned from that of a human psychic, releases a "psychic shockwave" that drives mad those whom it doesn't kill). So maybe telekinesis is too. 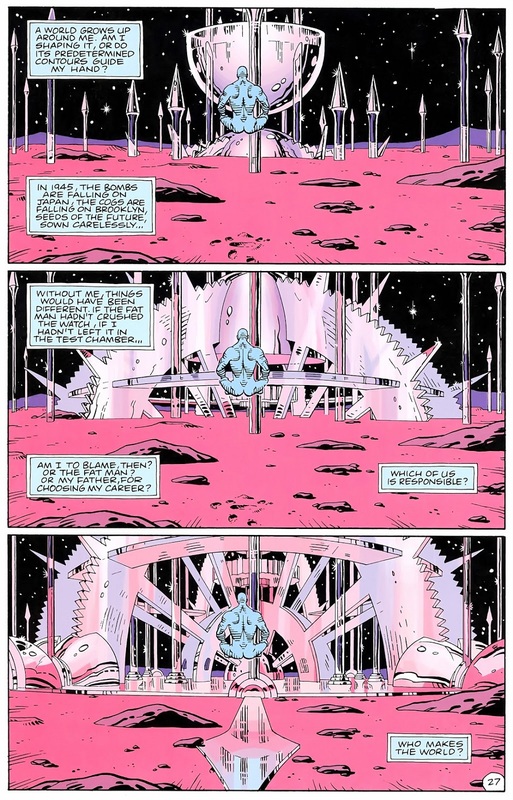 This would explain how Jon was able to put atoms, and larger structures, together with only his mind. alternate theory: he already has a body. Jon perceives time simultaneously. thus he simultaneously has and doesn't have a body.